Book Makers Are Rooting For Spieth! Book Makers Are Rooting For Spieth! Book Makers Are Rooting For Spieth! With the 2019 Masters clash just around the corner, the betting world is reaching a frenzied state. The bookies’ darling is the young Texan Jordan Spieth who is given the odds on favourite to win. He is rated as a 10-1 favourite to win. Dustin Johnson, Tiger Woods, who came in second at the PGA Championship and Justin Thomas are listed at 12-1. Rory McIlroy and Brookes Koepka (14–1) are next on the list, with Justin Rose, Rickie Fowler, and Jon Rahm coming in at 16/1. 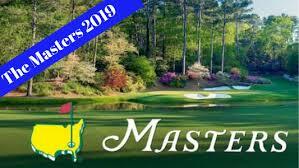 The 83rd Masters will take place from the Augusta National Golf Club starting April 11, 2019.